Announcement! Some of you have been asking about my debut film YoungBlood, well, here it is for you to watch! A gang documentary combining 3 stories + 3 cultures + 3 yearnings. In 2011, I grew so much over the month spent with these three guys. Although the stress of making the film nearly gave me a meltdown, it definitely grew me as a person and taught me about yearnings that we all share as members of humanity. I did love chasing these stories, getting the shots, and working with a bunch of boys from my crew. At this time I was living in Sydney and was absolutely frothing on the city vibes. I’ll never forget the evening that the film was first screened. It was Sydney Film School’s film festival. I had so many of my friends and family come and support me on the night. Part way through the film I began to cry. Just thinking about the words spoken of sorrow, social and familial turmoil all mixed with breakthrough, dreaming, and friendship made me react so emotionally. It had been such a massive effort for my crew and cast and I felt so blessed to be able to tell this story. I couldn’t believe that the film would then get picked up by a variety of prestigious international film festivals. It’s incredible where story telling can lead. The festivals enabled me to network with more and more innovative storytellers and filmmakers. Here are some excerpts taken from a random review by Sydney Film School, last year. 'Young Blood', a short documentary by Billy Otto, has been selected to screen at the prestigious Monterrey International Film Festival in Mexico. 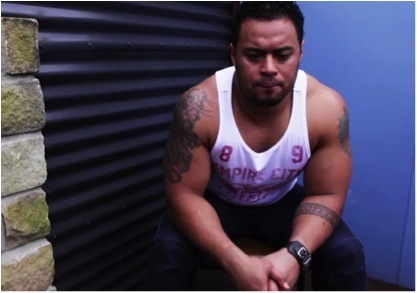 The film features three former gang members – from Newcastle, Auckland and Vietnam – and explores their journey from broken homes into gang culture. "I first got the idea when I was in Indonesia for a surfing trip and I met someone who was a member of the Bra Boys," says Billy Otto. "This person gave me insight into some of the reasons why young men join gangs, and this experience truly intrigued me. I wanted to investigate this idea and also take it a step further and see if this principle was transcultural." "In my 10 minute documentary one question is asked: 'why do boys join gangs?' The lives of 3 young men from New Zealand, Australia and Vietnam are traced as they reflect on their desire for acceptance coming from broken families. The three men are extremely vulnerable as they recount their experience in their local gangs. These individuals are from completely different backgrounds, yet their search for significance is harmonized." "Making the film was a very emotional experience and possibly the most challenging thing I’ve ever done. But it’s very rewarding," said Billy who is excited to have his film screened in Mexico. An even more random article by the Newcastle Herald said it this way. ‘BILLY Otto says he’s ‘‘chasing the dream’’, touring as a folk musician and adding to his reputation as a budding filmmaker. 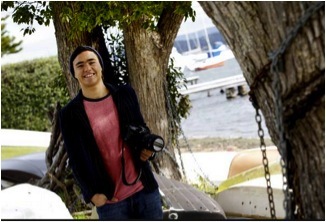 The former Warners Bay High School student’s 10-minute film Young Blood has been selected to screen at the prestigious Monterrey International Film Festival in Mexico next month. To this day my friendship with these boys has been amazingly meaningful. We always look back at the YoungBlood project as something that was catalytic and therapeutic. Its time for more of us to share our stories. TAGLINE: "Why do young men desire to join gangs, posses or brotherhood groups?"